Musella Lasiocarpa is known for its striking golden flowers. 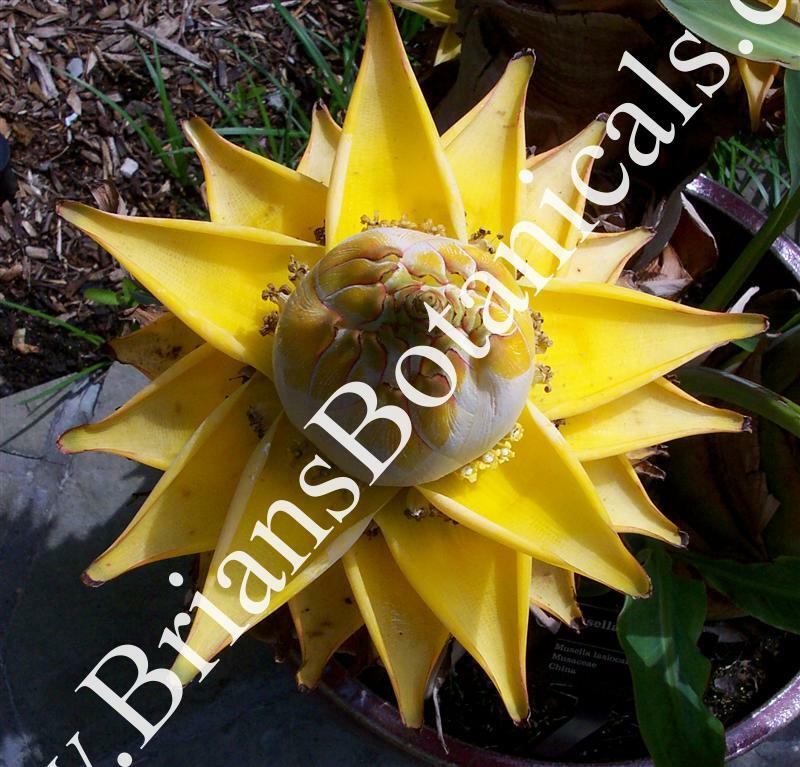 This plant has been given the nickname the Lotus Banana. This plant is originally from the mountains of China, which is why it stays out all winter much like Musa Basjoo (with mulching). This plant grows to 5 feet tall, what it lacks in height it makes up for with its spectacular flowers. 7-10 zone 6 when mulched up the trunk.